Today was Day #3 of Chocolate and Orange Theme Week. 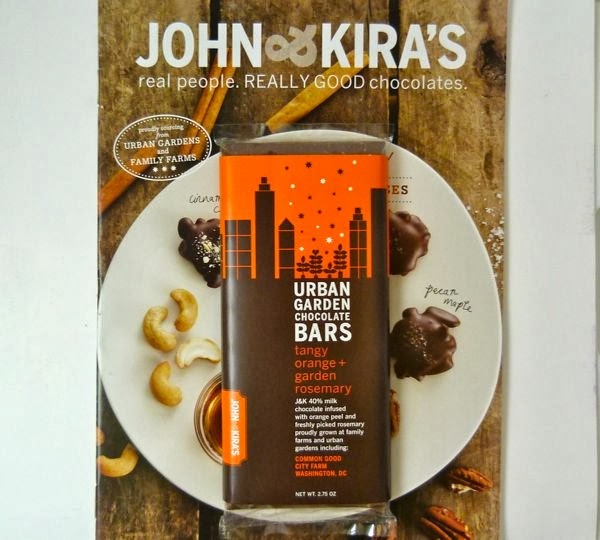 The "tangy orange + garden rosemary" bar from John and Kira's (Philadelphia, PA) was made in partnership with the company's Urban Garden Partners, who provide ingredients like the fresh rosemary in today's bar. 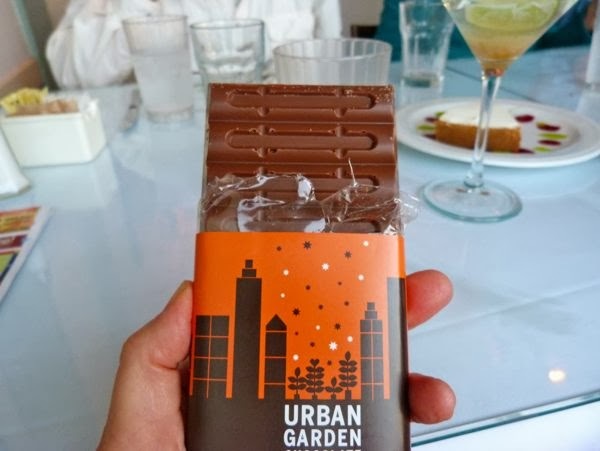 One of these partners, the Common Good City Farm, in Washington, D.C. -- an urban farm and education center -- was highlighted on the packaging that enveloped this bar. 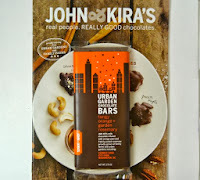 John and Kira's 40% milk chocolate bar, with caramel overtones, was infused with a great balance of orange peel and fresh rosemary flavors.